This carefully decorated 3 BR 4 Bath Penthouse makes a statement from the minute you walk in the door, from the stunning City & Ocean views to the custom made furnishings, everything has been designed with comfort & style in mind. Two Master suites and one charming guest all have private baths with large separate showers and double sinks and double spa tubs in the Masters. The customized main Kitchen has everything a gourmet chef could ask for including dinner service for 12, the large dining room table seats 10 with a more intimate table for smaller gatherings on the lower Patio. The upper kitchen features a built in BBQ, refrigerators, dishwasher, ice maker & dinner service for 8. It also has comfortable bar seating for 8 around a large table, a great place for lunch or afternoon cocktails and to enjoy the Ocean & City views. The lower Patio has couch seating for 10 and is an extension of the living room and convenient to the kitchen & dining room, walls of glass open to patios forming a large open space perfect for entertaining while enjoying the views and ocean breezes. All bedrooms feature quality pillow top king beds with high end linens, flat screen 42 inch TV's with Blue Ray DVD's in the Masters. The living room has a 50 inch with Blue Ray and all have Canadian Satellite service and wireless Internet. Local phone service, and cell phones available on request. There is a bar on the lower patio and a wine room off the dining room with coolers for red and white wines, key to wine room available on request. 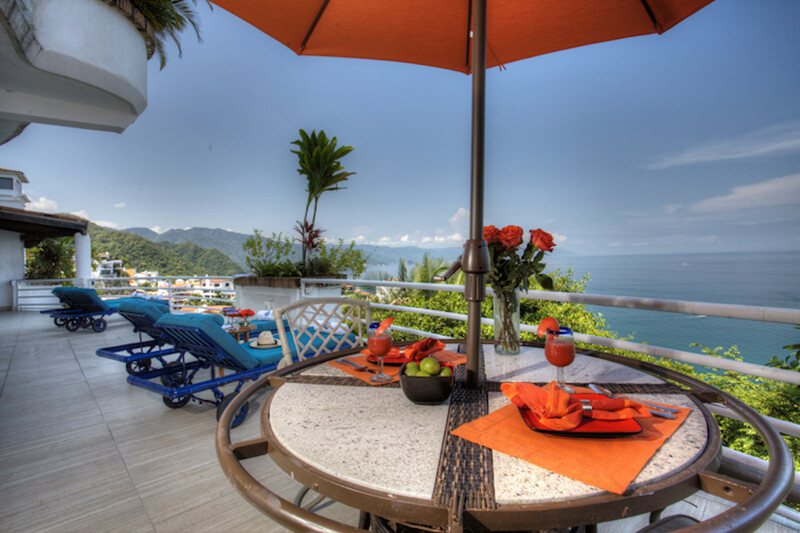 The building features only 2 units per floor so no endless halls to navigate, the units is just steps from the elevators and the building is situated in a perfect location to enjoy Puerto Vallarta, with direct access to the Malecon and surrounded by restaurants & shopping just steps away. The Resort style Pool is a great place to enjoy the Mexican sun with its many lounge chairs and swim up bar. There are also hammocks on the grounds for a relaxing time to spend napping or reading and a sandy private "Beach" area. Your host can help arrange activities and will do a walking tour for those unfamiliar with The Romantic Zone. Maid service is 3 days a week and can be extended if needed. There’s even an exclusive well equipped gym just around the corner (not included). 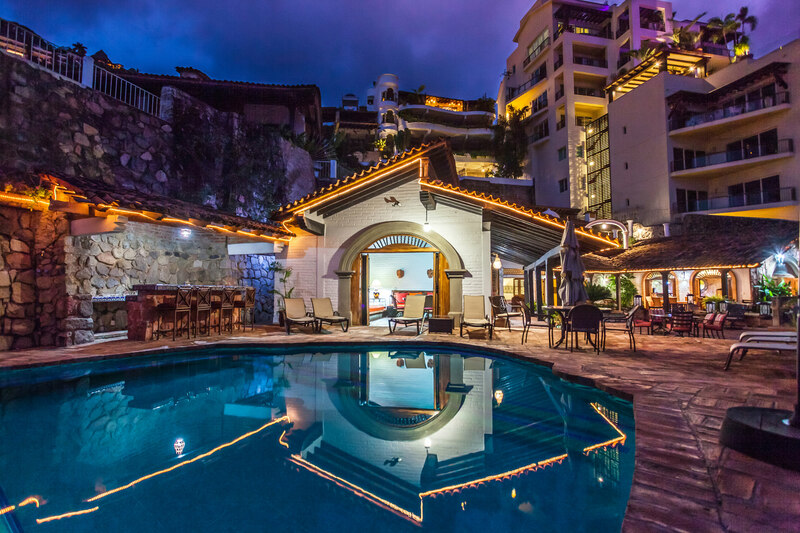 Some of the many things to do in Puerto Vallarta, Parasailing, Sailing, Jet Skies, Snorkeling, Whale Watching in season, Zip Line Tours, Horseback Riding or ATV's through the Jungle.